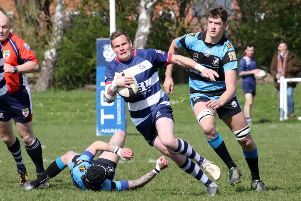 Banbury Bulls head coach Matt Goode was left frustrated following his side’s second Wadworth 6X South West One East defeat of the campaign. Goode had no excuses following Saturday’s 24-17 defeat at Royal Wootton Bassett but Bulls were missing key players and that played a big part in their performance. Good said: “I’m gutted about the performance, we didn’t perform, we didn’t turn up. I think we lost us the game, they didn’t go out and win it. “I thought the first 15 minutes we did well but then we just dropped off. There were too many changes in the squad, too many injuries and non-availability.